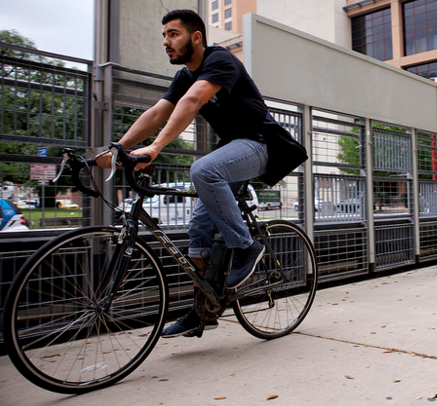 A cyclist on Guadalupe Street near UT-Austin's Campus. 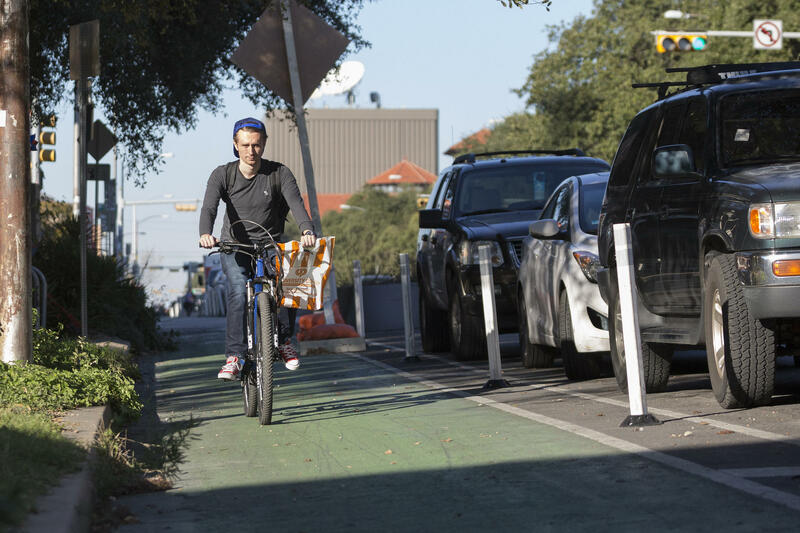 While the Austin City Council rolls out a proposition that would build out bike-friendly infrastructure, Travis County leaders are continuing work of their own on a plan of their own to improve bicycle safety across the region. 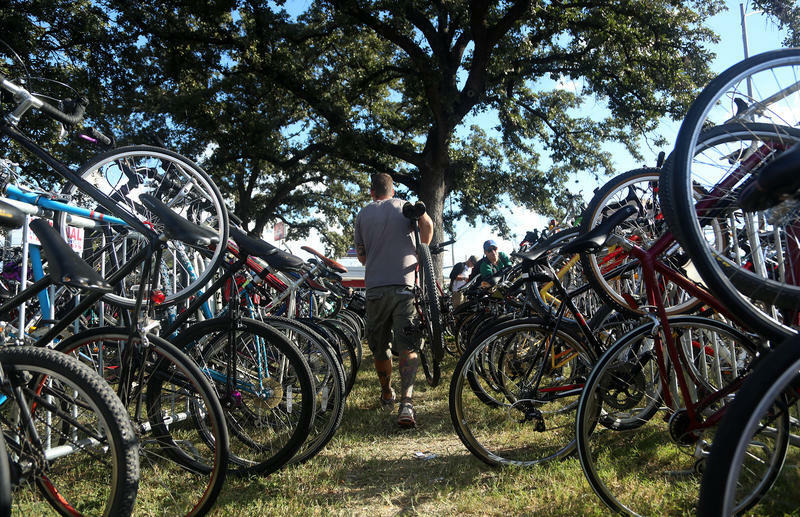 In 2011, voters approved more than $3 million dollars to fund bike safety improvements throughout unincorporated Travis County, and Travis County Commissioners created the Bicycle Safety Task Force to figure out how best to spend that money and which roadways to invest in. Commissioners approved those projects in May. Now, county staff says they need more people to help make these projects a reality. Steven Manilla of the county’s Transportation and Natural Resources Department says that requires more money in next year’s budget to hire a full-time planner. 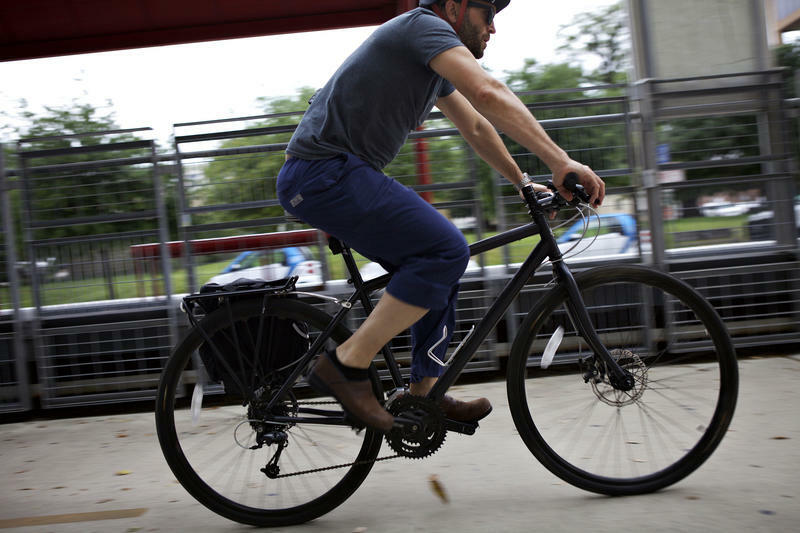 “Someone who can champion the whole bicycle and pedestrian development of those types of facilities, someone who can pursue grant applications, someone who can respond to questions from the outside,” he said at a Travis County Commissioners meeting yesterday. Manilla said, right now, work on the plan is spread between four or five in-house employees. But the talk of more spending concerned some commissioners. Precinct 1 Commissioner Ron Davis wants to know how much the county has already invested. 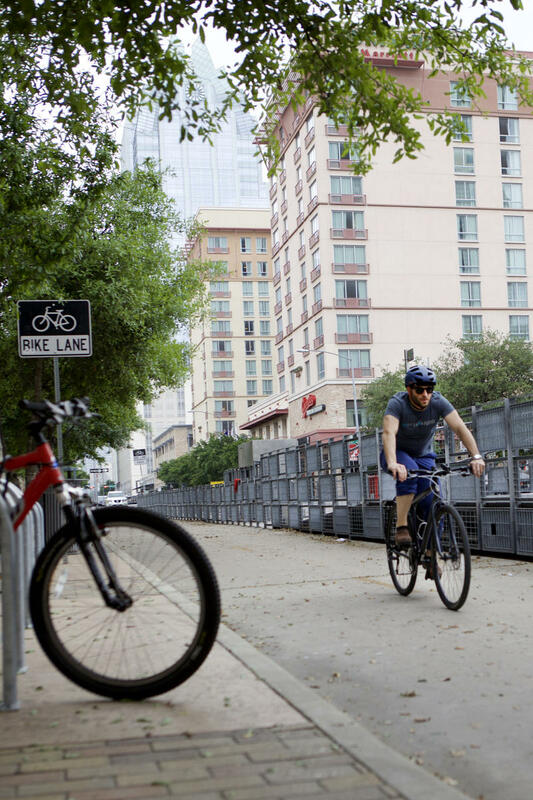 “I still think that the public needs to see how much Travis County has spent up to date on hike-and-bike trails. I think that’s very important,” Davis said. The task force also recommends creating a Bike Master Plan for roads and greenways throughout the county. Instead, commissioners ultimately decided to incorporate bike safety into the broader transportation plan, which is already in the works. That will take about two years to complete, but Travis County Commissioner Brigid Shea says it’s an important step. 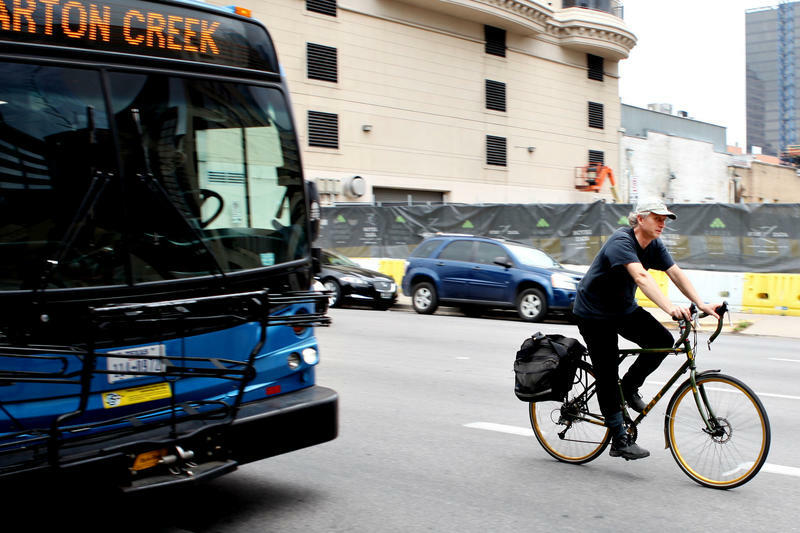 These are just the first of the task force’s recommendations for improving bike safety. Staff plans to present more recommendations to the Commissioners Court in the future. It’s unclear what the total cost of the whole plan will be.